Back to a soft top then. I like the look of it. Don't know about the squared off back end. Might look better not in camo paint. Looking at the panels I wouldn't be surprised if it looks a LOT different underneath. Also there is some speculation that it may be a soft-top in the early stages, but I'm not sure I buy that, it'd be a whole redesign to add a folding tin top later. Also wonder if they want to keep costs down, although that'd be a first for BMW! Yeah, interesting to see which way this one goes... it's bigger, but then it looks to have a soft top so that'll keep the weight off it a little. 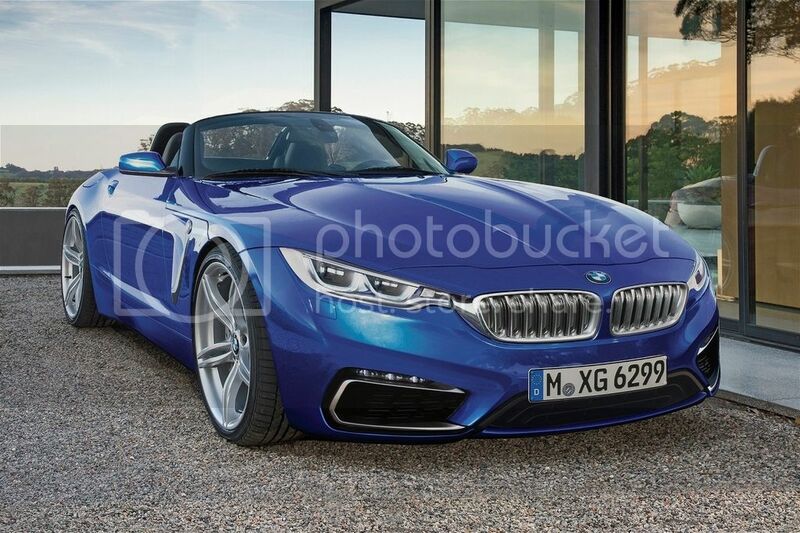 No mini back seats, so not sure what advantage it's going to have over the Z4 in terms of what it is. Just looks like the e89 at the moment to me, but I guess that might be the idea of the camo. Although the grills arent that attractive or bmw like! Hmm... not sure, that last one looks like a 6-series got attacked by Halfords!